It is mandatory by law to possess a valid driving license before driving a vehicle on Indian roads. An expired driving license isn’t a valid document. Thus, you need to renew it in order to stay on the right side of the law. The validity of a driving license is 20 years, which is a long period. You need to renew it before it gets expired or when you reach 50 years of age. Read ahead to know the documents required for driving license renewal. You need to fill the Form Number 9 in order to apply for a driving license renewal online or offline. This form can be collected by visiting your nearest Regional Transport Office (RTO) or can be downloaded from Government of India’s website related to Ministry of Road Transport & Highways. This form has fields pertaining to your personal details such as name, address, etc. You will be required to fill in the necessary details and sign the application form before submitting it. This application form needs to be accompanied by below mentioned documents for driving license renewal online or offline. This form can also be downloaded from the RTO’s website. You need to get a fitness certificate from a certified physician stating that you are fit enough to drive a vehicle. Just because one was fit twenty years ago does not mean that the person will be fit while applying for driving license renewal. Your expired driving license is also one of the documents that is needed. Basic information is fetched from there for driving license renewal. Photocopy of a valid government-issued document needs to be submitted to validate your age. 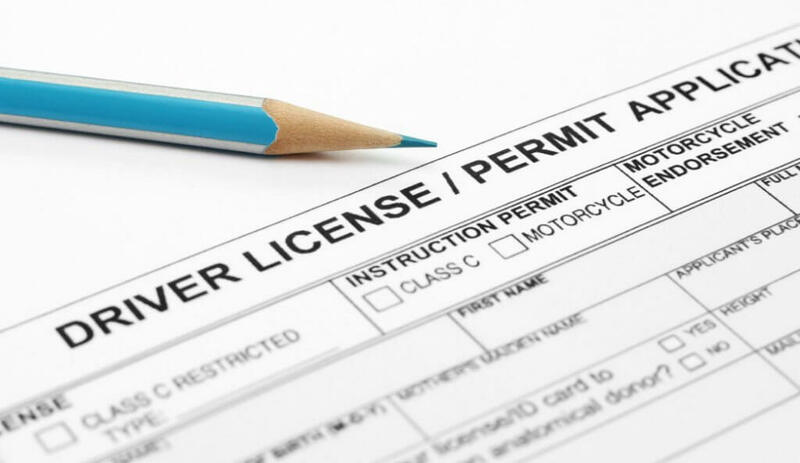 Age is a key component of your driving license as which is a proof of identity as well. A photocopy of your Aadhaar card is considered as a valid age proof for driving license renewal. Your residential address is also displayed in your driving license. Thus, you need to submit a proof of residence while applying for driving license renewal. A photocopy of your valid passport is considered as a valid residential proof. Any change in residential address needs to be reflected in the updated driving license. The new address needs to be conveyed to the RTO within a month. If you happen to relocate from one Indian state to another, you will have to get a No Objection Certificate from the RTO that originally issued your driving license. Passport-size photos need to be submitted with the application form while applying for driving license renewal. With the new Smartcard-type driving license coming in, your latest photograph might be reflected in your driving license. It is extremely important to provide accurate information while filling up the application form. Also, the documents submitted need to be authentic. A renewed driving license is valid for a shorter duration as compared to the first-issued driving license. Upon renewal, it is valid for five years for a non-transport vehicle. For a transport vehicle it is valid for three years. The charges for driving license renewal are around Rs. 200. The fees can vary from state to state. Driving without a valid driving license is illegal in India. It can lead to a fine of Rs. 500. You can also be imprisoned for three months for driving without a driving license or driving with an expired driving license. Offenses related to driving a vehicle without a valid driving license are regulated as per section 3 r/w 181 of The Motor Vehicles Act, 1988.